Britain’s biggest police force is facing criticism after it let looters run riot in north London for almost 12 hours, in some of the worst scenes of street disturbances seen in recent years. The Metropolitan Police said it was focused on containing violent disorder in Tottenham on Saturday night, which left dozens of officers injured and saw squad cars, shops and flats burned to the ground. But its tactics meant gangs of youths were free to break into stores at nearby Tottenham Hale retail park and in Wood Green, with looters forming an orderly queue in broad daylight to steal from a sports shop. Riot police did not intervene to stop the looting in some areas until 7.30am the following morning, almost 12 hours after the riots began, and last night there were fresh disturbances in Enfield. Police defended their actions, saying that their priority was to avoid loss of life in the violent clashes that started after a peaceful gathering outside a police station, held to protest a fatal shooting by Met officers on Thursday. Metropolitan Police Commander Adrian Hanstock said that police took a decision to devote resources to the scene of the riot rather than the looting. He said: “What you have to recognise here is that this is opportunistic criminality. These individuals who stole, looted and rampaged through businesses, businesses which are struggling in the current climate, took advantage at a time where police were dealing with some serious incidents that posed a threat to life. “Of course we are going to focus on fires and people potentially in danger. “You have got a situation where people have been violent and are setting fire to things. Police officers have to remain in position even after the initial violence dies down. Trouble flared after family and friends of Mark Duggan gathered at the police station on Tottenham High Road at 5pm Saturday afternoon. The 29 year-old suspected gang member was killed in a taxi on Thursday evening after a surveillance operation. The Independent Police Complaints Commission is investigating amid allegations that officers opened fire first, although it was first claimed that a policeman had been shot and only had his life saved when a bullet hit his radio. The IPCC was last night forced to deny internet internet rumours that Mr Duggan had been “assassinated” by officers in an execution-style killing where he was shot in the head. It was widely rumoured that the riots were then triggered by police violence towards a 16 year-old girl at the protest. Police say there are “conflicting responses” but some of those at the scene claimed the girl threw an object at the line of officers and was knocked down, prompting retaliation from the crowd, and the allegation spread not only on the street but also on the internet as protesters used mobile phones to keep in touch. By 8.20pm, two police cars had been set alight further up the high street and small numbers of policemen in riot gear were struggling to control groups of youths, faces hidden by hoodies and bandanas, who began targeting nearby properties. Three hours later a double-decker bus had been torched and homeowners were forced to flee burning homes and small businesses in one of the poorest areas of the capital. Fire crews were unable to reach the blazes because of the threat posed by the crowds. One of the biggest shops on the high street, a 1930s building home to several flats as well as a branch of Carpet Right – the chain run by Lord Harris of Peckham, a Conservative donor – was destroyed by flames. For many it evoked painful memories not of the Second World War but of the 1985 riots at the nearby Broadwater Farm estate, during which PC Keith Blakelock was murdered. Speaking from his home near Newcastle-Upon-Tyne, his son Mark, a 39-year-old retail director, said: “What has happened in London has brought back memories. “It is distressing to see the images on television. By midnight fire engines were able to start putting out blazes on the high street while lines of riot officers drafted in from across the capital advanced, with the help of mounted police. But witnesses said anarchy still reigned down the many side streets in the area, with cameramen and TV crews attacked by the mob. Youths were seen calling friends on their mobile phones to join in the mayhem, with claims that many of the worst troublemakers were not locals. It was even suggested that the area’s gangs, who do not normally encroach on each other’s territories, put aside their differences for the night. Some appear to have realised that the police had their hands full in Tottenham, and that there were richer pickings to be had in shopping districts elsewhere. Less than a mile to the east, looting began at the retail park near Tottenham Hale underground station, not far from where Mr Duggan had been shot dead. Teenagers and adults were reported to have turned up in cars to fill their boots with stolen goods from branches of Currys and Argos, with every single handset taken from a mobile phone shop. One woman was seen casually inspecting pairs of trainers and police arrested some at the scene as late as 7.30am. The focus of the looting was at Wood Green about two miles away to the east. Eyewitnesses there around midnight said they saw no police presence, and a passer-by filmed leisurely looting still taking place at about 5.30am – more than nine hours after the original trouble. Clips taken from a passing car and uploaded to YouTube, the video-sharing website, show young people running out of a branch of H&M with bags of clothes in broad daylight. Further along Wood Green High Road, a crowd had gathered outside JD Sports and youths appeared to be waiting patiently for their turn to steal trainers, T-shirts and rucksacks. Other footage showed a youth pushing a shopping trolley laded with stolen goods and others who had apparently filled suitcases. Branches of T-Mobile, Body Shop, Boots and even Vision Express, the opticians, also had windows broken and stock taken. When the passer-by who filmed the JD Sports looting returned to the spot, at close to 6am, police vans with blue lights flashing had finally arrived at the scene. Rochelle Alexander, 34, a TV production manager, said: “They were ransacking H&M, Boots and Vision Express in the Wood Green Shopping Centre. “Young girls of every ethnicity were turning up. It was like they were shopping at 3am. They were using shopping bags from the shops and just walking out. People were pulling up in cars. The tills were all on the floor and there were no police. 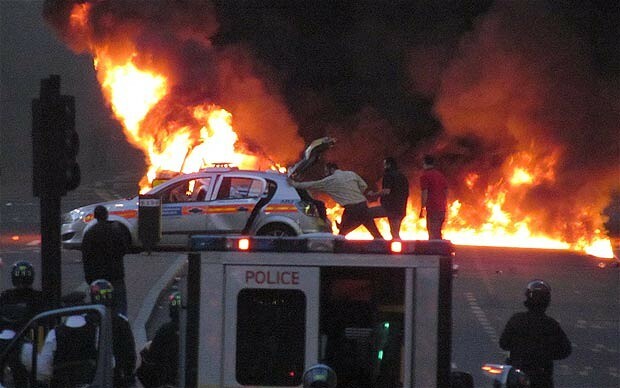 Scotland Yard said 26 officers were injured in the riot while 55 people were arrested for offences including violent disorder, burglary and theft. Firefighters attended a total of 49 blazes. An investigation named Operation Withern was opened to find more of the perpetrators. Smoke was still rising from the charred remains of vehicles and buildings as local politicians and community leaders arrived to survey the scene. But it was not until lunchtime when the first Government figure emerged as Lynne Featherstone, a junior Home Office minister who happens to be the MP for Wood Green, gave a short statement to “utterly condemn” the “attacks on police and property”. The family of the man whose death led to the original protest said they did not condone the rioting. By the afternoon rumours were rife that further trouble was planned for the evening, and shops closed early in Enfield Town in case it spread there. Reinforcements were brought in from police forces surrounding London to ensure a tougher response. Mr Duggan’s fiance, Semone Wilson, insisted the trouble was not planned and that the family only wanted to know the circumstances of the shooting. “If we have got answers yesterday when we were asking for them I doubt this would have happened,” she said. Last night the Independent Police Complaints Commission took the unusual step of announcing details of Mr Duggan’s death in a bid to end to rumours that he was killed in a ‘execution’ style shooting. A spokesman said: “Speculation that Mark Duggan was ‘assassinated’ in an execution style involving a number of shots to the head are categorically untrue. Last night reinforcement officers from other police forces were called in to assist as the Metropolitan Police anticipated further disturbances. Officers from Thames Valley, Essex, City of London, Surrey and Kent were drafted in. Last night the violence appeared to be spreading to Enfield, further north in London, where breeze blocks were thrown through the window of a police car in Enfield Town and shop windows were smashed. It comes at a turbulent time for Scotland Yard. The force has faced huge criticism for its handling of the phone hacking scandal. Two of its most senior officers, including the commissioner Sir Paul Stephenson, were forced to resign over the issue meaning the Met is currently searching for a new leader. There is also an ongoing internal investigation after a handful of police officers were alleged to have received bribes from News of the World journalists for information. Britain approved the export of sniper rifles to Libya just months before marksmen began murdering protest- ers in Tripoli. An export licence was granted to let “a small quantity” of deadly long-range weapons be shipped out in November for exhibition or testing. Four licences were approved for the rifles, along with assault rifles and semi-automatic handguns, with cleaning kits. They were signed off by officials in the Department for Business and it was unclear today whether ministers were involved in the decision. Business Secretary Vince Cable told the Standard: “It is essential to stop arms exports where this could be used to suppress human rights and democratic protests and also fuel regional conflict.” He said he was “certainly surprised” about the export licences, particularly in the case of sniper rifles. Horrific wounds among Libyan demonstrators, including limbs ripped off, are consistent with the impact of a high-velocity round from a sniper rifle. Following calls from the Standard, the Department for Business was this morning contacting the firms involved to establish whether the British weapons were sent back, as required under the licence conditions. 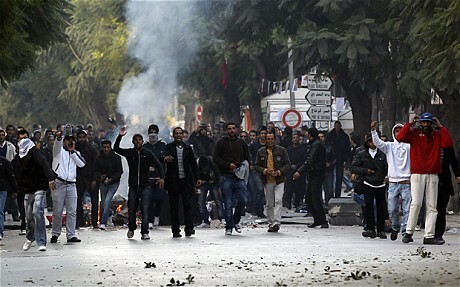 Last week the department suspended export licences to Bahrain and Libya after concern at attacks of protesters. These licences included tear gas but the department was unable to say this morning whether tear gas was exported to Libya. The Business Department was unable to give details of who signed the export licences and when. A spokeswoman said she understood that decisions were delegated to officials. The department would not say which companies were involved as this was “commercially confidential”. Britain’s top manufacturer of sniper rifles, the Portsmouth-based Accuracy International, said it was not involved. Labour today called on the Government to freeze Colonel Gaddafi’s overseas assets. Shadow foreign secretary Douglas Alexander said an agreement on sanctions should be pursued via the European Union. 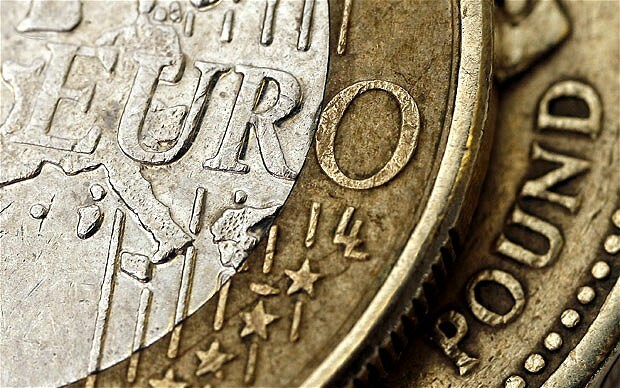 The Treasury said the Government could freeze assets owned by a foreign leader but only after a United Nations or EU vote to impose sanctions, a request from the country involved or a Home Office decision that action was needed to prevent terrorism against Britons. Governments in Asia, the Middle East and North Africa have recently made large food purchases on the open market in the wake of unrest in Tunisia which deposed president Zine al-Abidine Ben Ali. Resentment at food shortages and high prices, as well as repression and corruption, drove the popular uprising which swept away his government. Youths reportedly chanted “bring us sugar!” in the demonstrations which toppled his regime. Nouriel Roubini, the New York University economics professor who predicted the financial crisis, this week told the World Economic Forum in Davos that high prices were “leading to riots, demonstrations and political instability.” “It’s really something that can topple regimes, as we have seen in the Middle East,” he said. Algeria purchased 800,000 tonnes of milling wheat on Wednesday and Saudi Arabia has said it will purchase enough wheat for a 12 month reserve. Egypt, which has seen several days of unrest in part provoked by high food prices, is expected to follow. Bangladesh has tripled its rice import target and Indonesia this week bought 820,000 tonnes of Thai rice. Prices have not hit the peaks seen in 2008 when inflation caused a food price crisis, but economists have warned they still have the power to topple regimes. 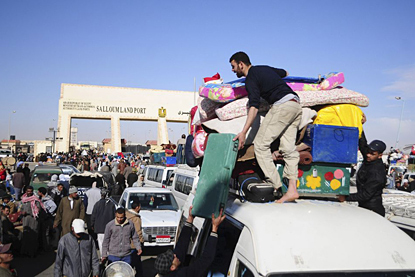 Hamza Alkholi, chairman and chief executive of the Saudi Alkholi Group, a holding company investing in industrials and real estate, said protest would not stop in North Africa. “It will spread in many countries because of high unemployment and increasing food prices,” he warned. Chinese paramilitary police patrol in Urumqi, western China’s Xinjiang province, Wednesday, July 8, 2009. China flooded the capital of western Xinjiang province with security forces Wednesday after ethnic riots left at least 156 dead. A brawl between Han and Uygur workers at a toy factory in the southern Guangdong Province on June 26 is said to have sparked Sunday’s riot that left 156 people dead and more than 1,000 injured thousands of kilometers away in the Xinjiang capital of Urumqi. But the people at the center of the conflict believed it was just a row between young men. The brawl in Shaoguan City was said to have flared up over allegations of a “sexual assault on a Han girl by a Uygur worker” that left two people dead and more than 100 injured. The “Han girl,” a 19-year-old trainee who had worked at the factory less than two months, said she only found out hours later that she was the cause of the violence. “I was lost and entered the wrong dormitory and screamed when I saw those Uygur young men in the room,” said Huang Cuilian, originally from rural Guangdong. She spent the night with a school teacher who accompanied her and her schoolmates to the job, not knowing her screams had stirred a fight between Han and Uygur workers. Other ethnic Uygurs working at the factory say they will continue to work in Guangdong. Atigul, 21, says she takes a manual, “900 Phrases of Commercial Chinese,” wherever she goes and the bloodshed has not put her off working there. “I’m ready to stay here for at least a year. After all, my folks back home need to work hard for a whole year to earn what I make in a month,” Atigul said through an interpreter. Her monthly wage averages 1,400 yuan, almost equal the annual income she earned in her hometown. Guangdong Province had hired about 800 workers from Xinjiang from May to fill its labor shortages, said Li Xiuying, an official in charge of ethnic and religious affairs in Guangdong. “Most of them are Uygurs aged from 18 to 29 and are eager to learn. But their distinct lifestyles, culture and poor Mandarin isolate them to some extent from their Han colleagues,” she said. China’s booming coastal region is attracting an increasing number of ethnic minorities from the poor west. Guangdong alone is host to 1.5 million workers of ethnic minorities. “The fight in the toy factory was just an isolated incident, but unfortunately, the separatists have made use of it to create chaos,” said Nur Bekri, chairman of the Xinjiang regional government. The rioting in Urumqi forced Chinese President Hu Jintao cut short his European trip and returned to Beijing Wednesday, skipping a G8 meeting with leaders from other developing countries that is expected to cover the economic crisis and climate change among other global issues. A statement on the Ministry of Foreign Affairs’ website said Hu’s trip was cut short “in light of the current situation in Xinjiang”. This change of schedule was the first overt public response by the central leadership to the deadliest riot in six decades in the far western region that covers a sixth of China’s territory and has a population of 21 million. Xinjiang police said they had evidence that the separatist World Uygur Congress led by Rebiya Kadeer masterminded the riot. “Those rioters by no means represented the Uygur people. They were incited by separatists from abroad and deviated from the spirit of the Koran,” said Abdul Rehep, vice president of Xinjiang Islam Association. About 60 percent of Xinjiang residents are “ethnic minorities,” meaning Chinese nationals other than the most populous Han group. They represent 47 ethnic groups including the Uygur, Kazak, Hui, Mongolian, Kirgiz, Tajik, Ozbek, Manchu, Tatar and Russian. The central government has been implementing a policy that offers many privileges to minorities. These include easier access to colleges and certain jobs and at least two children per family instead of one for Han families in urban areas.